Washington Electric is asked many questions by our current customers as well as by members of the various communities we service who are potential customers. If you still have questions after reading the below, please call us so that we can help you understand our services and what your electrical system may need to keep you safe. Q: What is your generator Installation and Service area? A: Generator Coverage area recently expanded to include Auburn, Bellevue, Black Diamond, Covington, Des Moines, Federal Way, Issaquah, Kent, Redmond, Renton, Seattle, Sammamish and Woodinville for generator service and installation only. Q: "Service-call" VS free estimate? A: We offer Estimates free of charge to our customers. We are thankful to all of our customers that invite us into their homes and do not feel we should charge for providing this service and advice. Many of our call are for small items in the home that need to be repaired or fixed. We are very good at this, and because of our experience we are often able to find short circuits or tripping breakers in less that one hour. For "service-calls" we charge for the first hour of service plus our service call fee. Please call, or fill out our request for service form for more information or to schedule service. Q: Do I need a permit for my electrical work? Q: Who do you employ? A: We only employ and send out on service calls licensed electricians (also referred to as technicians) to your home and business. We send out qualified and licensed electricians to make sure that you are receiving professional electrical service for all of your electrical needs. We train all of our electricians on the most recent and current electrical codes (see here for more on codes). We also ensure that our electricians are well-versed in how to handle all electrical needs to best service your electrical system and thereby providing you the best electrical service possible. Q: How many electricians will come to my home? A: We value you as a customer and do not want to bombard you with a lot of people coming into your home. We send one electrician who will evaluate the electrical situation, consult with you on what needs to be done and what you might want to be done. In many cases that same electrician will perform the work that you authorize to be completed. For some larger jobs the work will be scheduled and additional electricians may come to perform or asist with the project. A: Yes, Washington Electric is licensed and bonded. We are also insured. 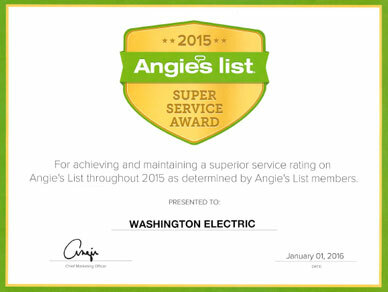 All of our electricians are certified and licensed to perform electrical services in the State of Washington. Washington Electric, as a company, has all of the necessary licenses such as the State of Washington Master Business License, as well as licenses for Electrical Contractor, and Administrator. 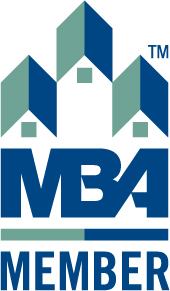 We also hold various city licenses, bonds, and insurances. We are in good standing with the Washington State Department of Labor & Industries (WA L&I) and other related state and federal agencies. Q: Why do you schedule a two-hour appointment window instead of a specific time for the appointment? A: We schedule the two-hour window to ensure that our electricians show up within that time frame. We know that traffic problems and weather conditions may make it impossible for our electricians to show up exactly for an appointment time. We want to make sure that our electricians stay safe as they travel from service call to service call. Our other reason for the time-window is that it is difficult to determine how long each service call might take. We would rather schedule a two-hour appointment time window then have our electrician call you from the prior service appointment to constantly reschedule for later and later in the day. Q: How much does it cost to get an estimate for electrical work by an electrician? 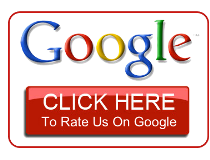 A: Please see our pricing page for more information or call us to discuss your electrical needs in detail. Q: Why do I need to be home for the electrician even though my teenager will be home? A: Our policy is not to enter a home without the adult homeowner present (or someone 18 years of age or older) to authorize the work being done and to witness that the work is being completed. Q: Is Washington Electric a “green” electrician? A: Our electricians are aware of and knowledgeable about energy savings for appliances and the other electrical equipment that you have in your home or office. Our electricians can assist you in determining how to best decrease your environmental impact of the electrical services that we provide. Q: What is “a fully stocked work truck” and why do you send one to my home? A: Each of our electricians drives a van that is a warehouse on wheels, so to speak. We believe that the best use of your time and that of our electricians is accomplished when our electrician has everything they need in their van. If they realize that the need a component or two, they can just go grab it from the van. Otherwise, they would have to return at a later time (usually a later day) with the required items to finish your electrical service work. We see this as a waste of time for you, our customer. This does not put your safety first if we leave a job partially done due to lack of parts. This also saves you money as it is one service call instead of two. We also carry, in limited quantities, specialty light fixtures, dimmers, and small appliances in case there is an item you may want that our electrician can install for you on the spot. Q: So your electricians are certified by the State of Washington. What does that mean for me? A: There are various levels of certification available for electricians in the State of Washington. Only residential or general journeymen are allowed to perform electrical service work within the home. This means that there are certain things the journeyman must to do obtain certification. The journeyman must learn and prove that he understands a combination of electrical theory as well as the current code requirements. On-the-job training is also required. To become a residential electrician in the State of Washington, one must acquire 4,000 hours of hands-on experience. The person must also pass a test after those hours are achieved to be qualified as a “residential electrician.” If the electrician then wants to become certified as a “general journeyman,” the person must do 8,000 hours of on-the-job training then pass another exam. These electricians are required to maintain their skills and current knowledge of codes. Therefore, they must take and pass continuing education courses every two years. Washington Electric only employs residential and/or general journeymen. 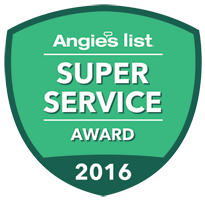 This means to you, our customer, that you will be receiving electrical service by a well-trained and experience person as your electrician. Q: What is the difference between having a residential electrician/general journeyman do my electrical work and hiring a home repair service? What happens if I want to do the work myself in order to save money? A: You are the homeowner. You may have the ability to do various repairs yourself. Please understand that most electrical repairs for the home do require a permit to be obtained before work can begin. If you do choose to hire someone to do the work for you, selecting a currently-licensed residential electrician or general journeyman, you will be receiving work by someone who is licensed, bonded and insured. These electricians possess the electrical contractor license, are licensed, bonded, and insured to legally to perform, sell, and be compensate for such services. You are always welcome to check for proof of the licenses, bonds, and insurances if you are unsure of the person or the company they represent by checking with the Washington State Department of Labor & Industries. You are also able to verify if the journeyman or contractor is in good standing with no liens against them or their work. To schedule your appointment today or clarification on our services, please contact us today at Washington Electric.